The individuality and strong character of Leon Gaspard are expressed in his remarkable paintings, which span continents and decades. Born in Vitebsk, Russia, Gaspard accompanied his father on fur trades to Asia. This exposure to colorful and exotic cultures would influence of his work throughout his life. Gaspard’s artistic studies began in Vitebsk and were followed by further study in Odessa and at the Academy of Moscow. He traveled to Paris in 1901 to study with Adolphe Bouguereau and Edouard Toudouze at the Académie Julian. There he met his future wife, Evelyn Adell, an American ballet student. Their unusual honeymoon, a two-year pack trip through the Siberian wilderness, allowed Gaspard to create hundreds of sketches. These sketches, as well as others made on his later travels throughout Asia, Europe, North Africa and America, became the foundation for his finished paintings. Gaspard’s highly successful Parisian career was interrupted by World War I, when he flew with the French Air Corps as an aerial observer. 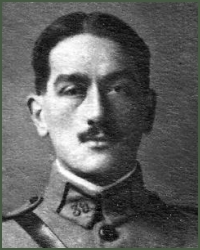 His plane was shot down, and Gaspard was badly injured. His wife’s family arranged for him to come to New York to recuperate. In 1919 the Gaspards moved to Taos, seeking a more beneficial climate. The native cultures of the Southwest reminded Gaspard of his beloved homeland. Though they continued to travel, the Gaspards made Taos their permanent home in 1924. Gaspard’s paintings are anomalous among the work of the Taos painters since they have many cultures from many lands as their theme. His paintings combine the clear, bright colors associated with impressionism and the influences of more modern and interpretive representation. Gaspard’s vibrant paintings, filled with movement and rendered in brilliant colors, form a historic legacy of cultures from around the world.